While it’s certainly convenient to do your shopping online from home while still in your pajamas, it just doesn’t compare to visiting a country store or market. 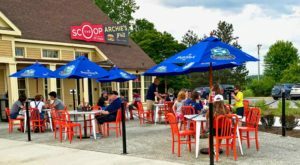 Wandering through these old-fashioned spots in Vermont is like taking a little trip back in time. 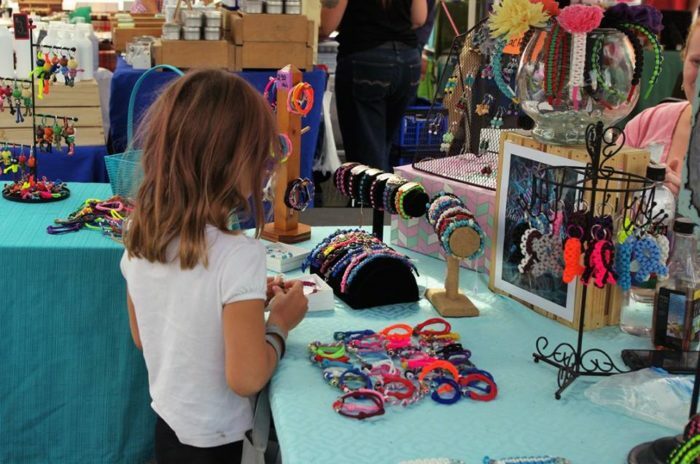 The variety of merchandise seems endless and the most inspiring offerings are the homemade goods. 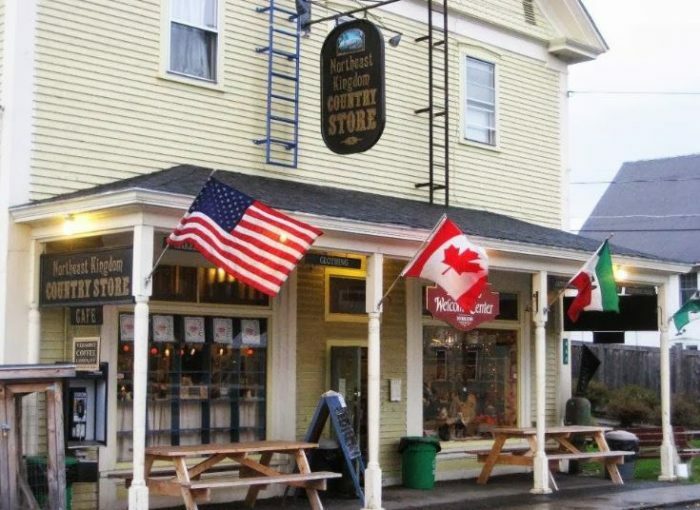 A shopping experience at the Northeast Kingdom Country Store is overloaded with charm. A gift giver's paradise, browse oodles of handmade items from local artisans. Visit the deli for delicious and fresh sandwiches. 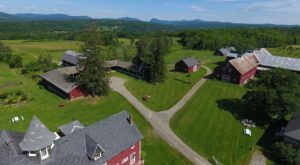 Find the store at 466 VT-114, East Burke, VT 05832. This seasonal (May-October) store offers a unique and nostalgic experience. From kitschy collectibles to homemade jams and pickles, you'll be unable to resist purchasing something. Their hand-cut donuts and fresh pastries are worth the trip alone. This shop on the river is self-serve and on the honor system. 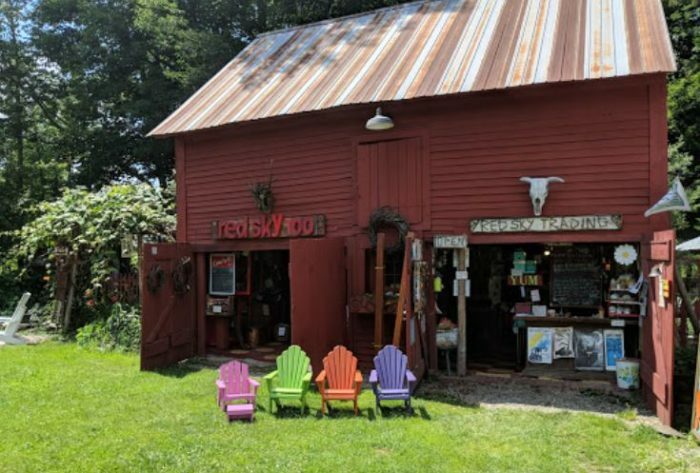 Find Red Sky Trading at 2894 Glover Rd., Glover, VT 05839. The Chocolate Barn is a must-visit destination for lovers of sweets. The homemade chocolates and ice cream are simply divine at this old-fashioned shopping spot. You'll also find plenty of gifts crafted by local artists. From art to jewelry and woodenware to ornaments, the finds at this barn are uniquely distinct. Visit the Chocolate Barn at 5055 Historic Rte. 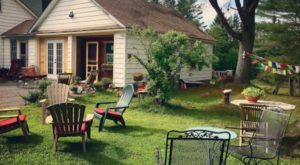 7A, Shaftsbury, VT 05262. 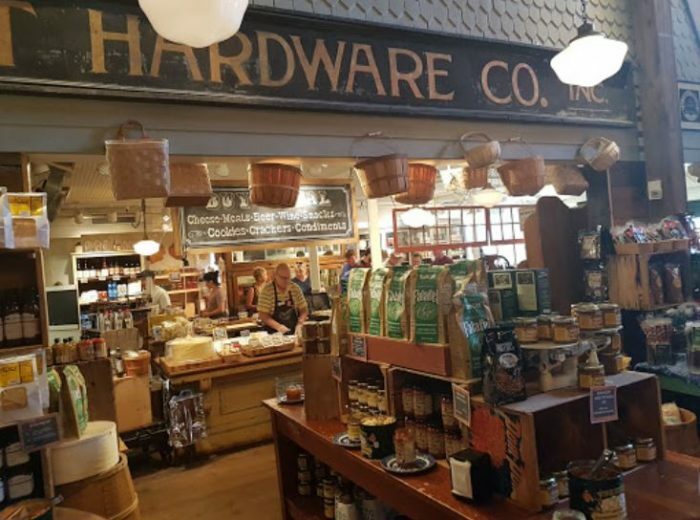 This general mercantile features groceries, toys, ammunition, and so much more. But what the locals really rave about are the homemade deli sandwiches and prepared to-go food selection. Perfect for picnics or eating at home, you can rely on tasty creations from the kitchen a Buxton's Store. Grab some of the awesome in-house smoked meats while you're there. 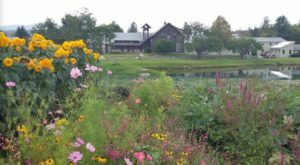 Visit the store at 499 Main St., Orwell, VT 05760. 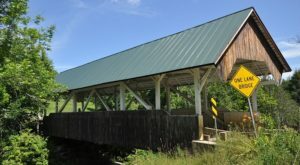 Spend some time exploring the two-story Warren Store. From hardware to clothing, you'll find a little bit of everything at this historic spot. But a visit here must include a stop by the bakery where an ever-changing homemade assortment of cookies, cakes, tarts, brownies, éclairs, mousse, whoopie pies and more will tempt even the strongest willed. 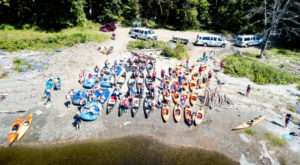 Find the store at 284 Main St., Warren, VT 05674. Of course, you can find all kinds of delicious fresh produce at The Vermont Farmers Market. But this shopping mecca is also home to all kinds of artisans who handcraft jewelry, woodenware, pottery, and more. You'll also find plenty of yummy homemade baked treats. Find the winter market at 251 West St., Rutland, VT 05701. 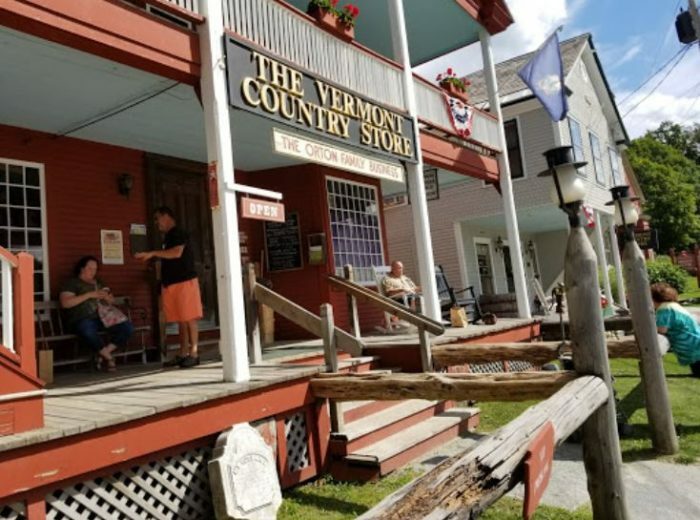 Step back in time when you enter the Vermont Country Store. Wander the aisles while hearing the familiar creak of wooden floors under your feet. 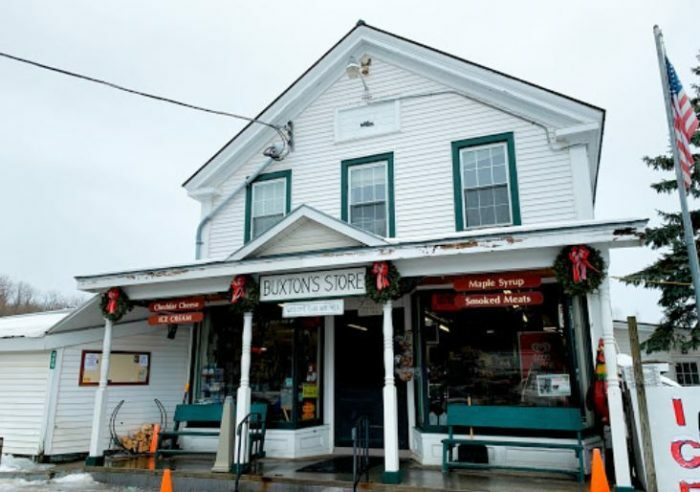 This shopping locale is chock full of made in Vermont products. 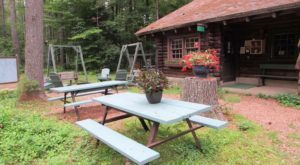 Maple syrup, homemade chocolates, jewelry, and much more will assure that you don't leave empty-handed from this old-fashioned spot. 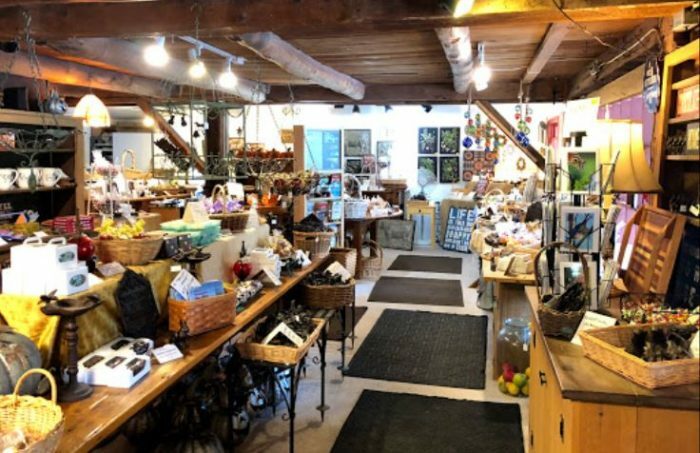 Visit the country store at 657 Main St., Weston, VT 05161. 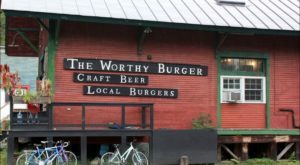 Have you ever browsed the homemade goods at these Vermont destinations? If you are a bargain hunter deep down inside, you’ll want to check out this unforgettable flea market for the most unique treasures.